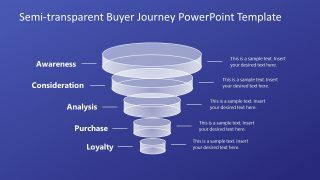 The 5 Level Semi-Transparent Buyer Journey Funnel PowerPoint Template presents five 3D disk shapes. 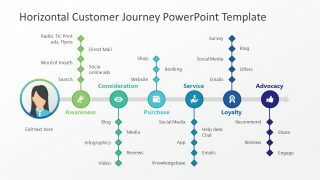 These disks narrow down as funnel chart to explain filtering process which leads from public awareness to customer loyalty. 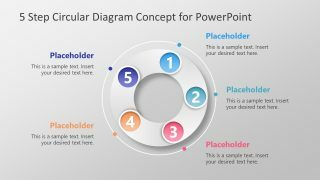 This PowerPoint template of 5 phases will help the audience to quickly grasp the concept through simple yet appealing graphics. Because semi-transparent disk shapes and blue background provides an infographic effect. 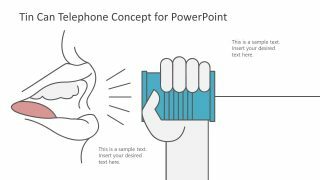 These infographic slides are ideal for innovative and modern technology presentation. 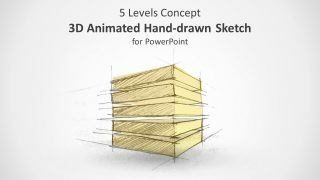 Further, users can modify background or intensity of transparency according to presentation requirements. To change the intensity of 5 level disks, right click on shape and select format shape option. The format shape will enable user to alter several design properties in less time. 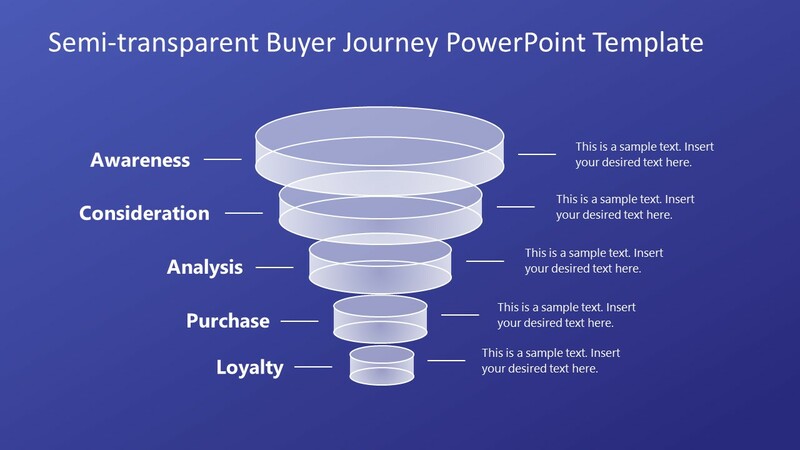 A single slide of semi-transparent buyer journey could be used as stand-alone or integral part of presentation.